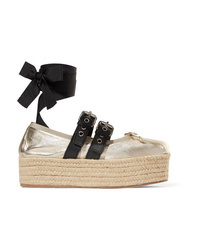 Miu Miu Metallic Leather Platform Espadrilles $685 Free US shipping AND returns! 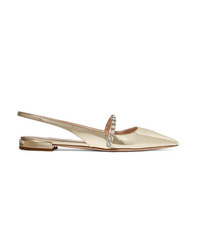 Miu Miu Crystal Embellished Metallic Patent Leather Slingback Flats $750 Free US shipping AND returns! Miu Miu Crystal Embellished Patent Leather Point Toe Flats $375 $750 Free US shipping AND returns! Miu Miu Crystal Embellished Patent Leather Slingback Flats $750 Free US shipping AND returns! Miu Miu Crystal Embellished Patent Leather Mary Jane Ballet Flats $720 Free US shipping AND returns! 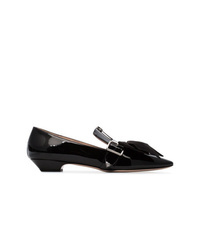 Miu Miu D Pvc And Leather Ballet Flats $690 Free US shipping AND returns! Miu Miu Lace Up Leather Ballet Flats $335 $670 Free US shipping AND returns! Miu Miu Crystal Embellished Patent Leather Loafers $790 Free US shipping AND returns! Miu Miu Metallic Buckled Ballerinas $689 Free US Shipping! Miu Miu Fringed Tassel Loafers $347 $694 Free US Shipping! Miu Miu White Ed Leather Pumps $434 $866 Free US Shipping! Miu Miu 25 Black Ed Leather Pumps $434 $866 Free US Shipping!